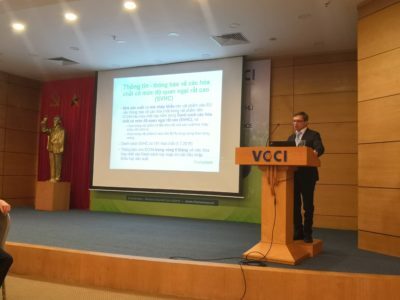 Chementors held a seminar at VCCI Tower, Hanoi in association with Vietnam Chamber of Commerce and Industry. 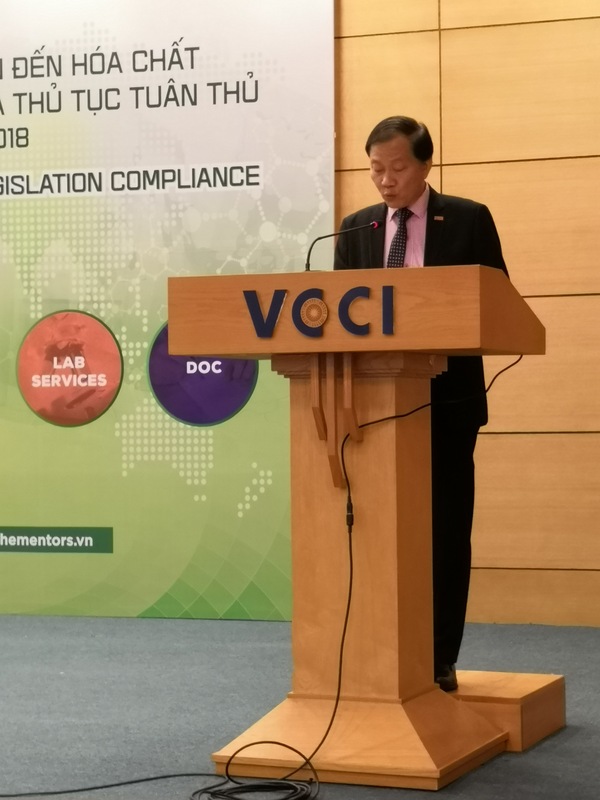 Vietnamese Chemical Agency Vinachemia was also invited to inform about the implementation of Global Harmonising System in Vietnam. 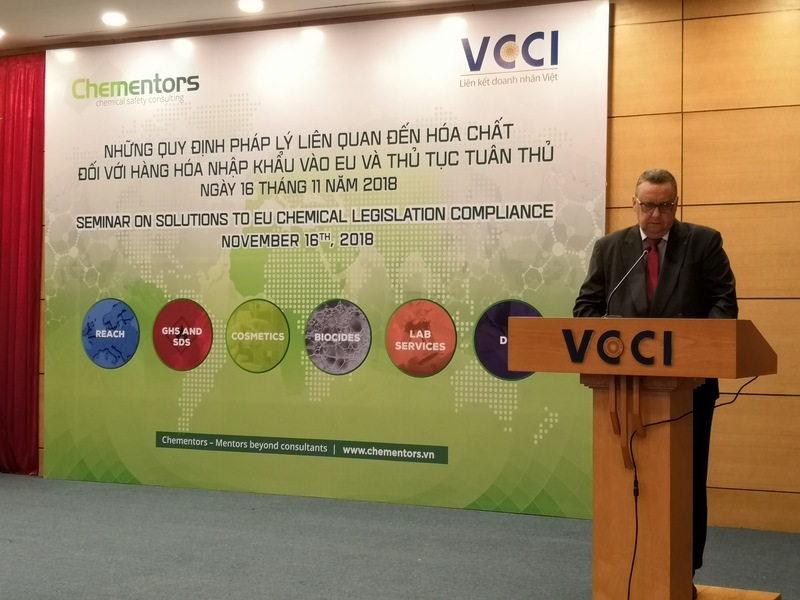 The Vice Chairman of VCCI, Mr. Hoang Quang Phong, and the ambassador of Finland in Vietnam, Mr. Kari Kahiluoto, were the opening speakers in the seminar on EU chemicals regulation addressed to the Vietnamese trade and industry cluster, held on November 16th, 2018. 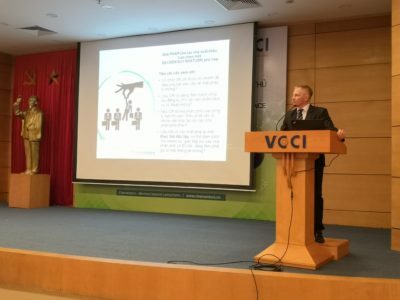 Chementors’ CEO Mr. Jani Määttä and COO Mr. Jan Nylund had two presentations each during the three-hour seminar. 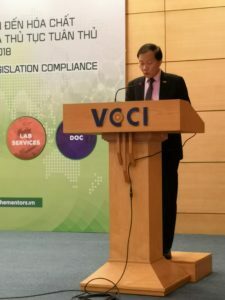 The REACH regulation and declaration of compliance and enforcement were two of the major topics covered in the seminar. Important information on European chemicals legislation was given, but also important national regulations in Vietnam were covered. 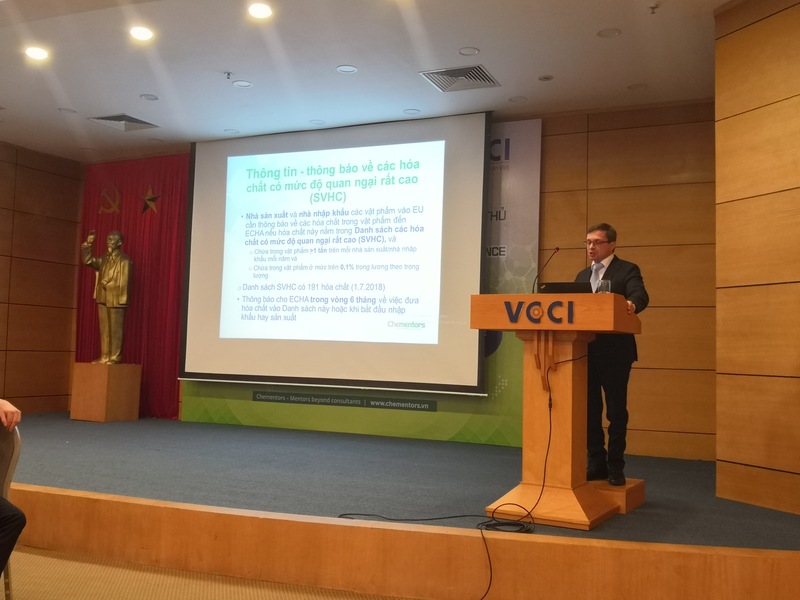 Despite the strict organizing schedule, VCCI managed to gather a substantial number of participants to receive important information, which might prove to be useful in the future when the EVFTA EU-Vietnam free trade agreement in the EU Parliament is ratified. The event was nationally reported by newspapers and television. Chementors would sincerely like to thank the VCCI organization for making this happen, Vinachemia for their participation, and all the participants in the seminar. 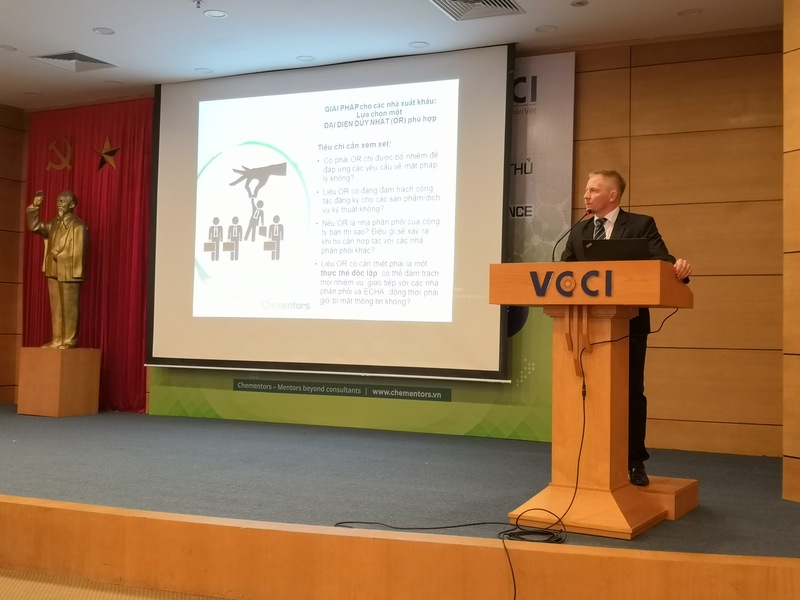 In addition, we would also like to convey our appreciation to the Vice Chairman of VCCI and the ambassador of Finland for their opening addresses.